Goose Girl is a YA novel about a young, awkward princess (Ani), who, much to the chagrin of her family, can also talk to animals. Rather than inheriting her throne, as she had been expecting, her mother sends her away to marry an unknown foreign prince and strengthen her kingdoms alliance. I loved this book and how it follows along with Princess Ani who starts out weak, awkward and uncomfortable in her own skin and slowly she becomes an amazingly strong, brave and loveable heroine. This was the perfect fairytale, sweet, romantic, magical and the villain was so chillingly wicked that the last few scenes had my heart pounding with nervous energy as I flipped the pages. This is one of my favorite books of all time, and I can’t recommend it enough to fairytale lovers. First note that this book is definitely adult fiction. Not erotica, but there are a number of steamy scenes. 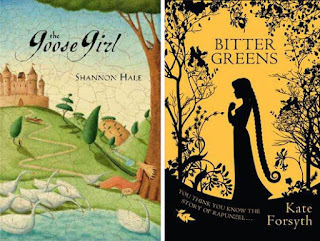 Bitter greens is probably the best Rapunzel retelling in existence. Kate Forsyth has done an amazing job braiding together different story lines from three brave, trapped, and fascinating women. Margherite, trapped in a door less tower and burdened by tangles of her red-gold hair, must find a way to escape. 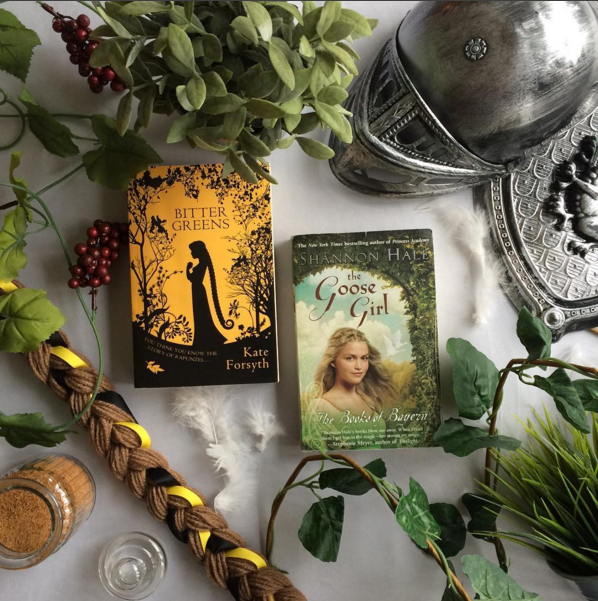 All I can say is that this work for historical fiction… alright historical is a bit of a stretch for some of the characters, but many of the Charlotte-Rose parts are at least written with some bits of historical accuracy and the whole book feels true. At the end of the story you’ll find yourself wondering how much was made up and how much could actually be factual. It’s clear that Kate Forsyth did a ton of research to write this novel. Reading it will take you to vivid landscapes in 1700’s France and 1600’s Italy, and you wont want to put it down. 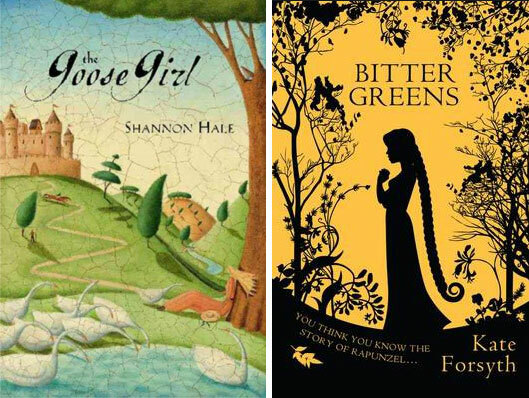 I would give both novels 5 stars and together they make the perfect fairytale pairing mostly because they are both fantastic and so satisfying.